The end of February rolls around and people are gorging themselves on discount chocolate, while the dietetic students are running around frantically. They’re worried about the candy consumption, but something else has them frazzled. 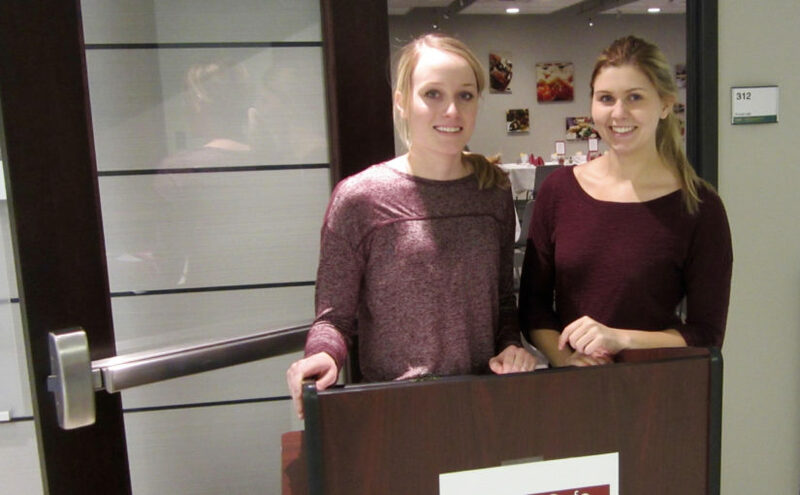 In the spring, dietetic students take on their food systems and management lab, and each student is responsible for designing and orchestrating every detail of a three course meal, from what the staff wears, all the way down to how the plating of the meal will appeal to the customer. REGINA SCHIMEK | PHOTO COURTESY The 800 Café offers full-service, healthy meals for only $10. The managers create a detailed list of instructions so the workers know what to do in order for the meal to have minimal mistakes. The managers need to know every detail in nutrition about their meals. Meals are required to be between 720-880 calories, while staying within the fat, sodium, carb, fiber and protein requirements. This is one of the hardest parts of the menu construction. 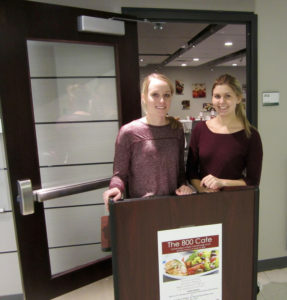 “I believe that people want to eat better and people need information in order to do that,” Sherri Stastny, the instructor for the class, said about why she feels it is necessary for the students to meet nutrient requirements with their meals. REGINA SCHIMEK | PHOTO COURTESY Students consider every aspect of the meal, including presentation. The nutritional information for the meal is given to the customers before they eat their meal so they know exactly what they are getting and what goes into it. However, fitting the nutrient requirements isn’t the only challenge. “Trying to make portion sizes look appealing on a plate but still fitting to the required amount of nutrients is challenging,” Keiley Sampson, a member of the class, mentioned. Job positions of students rotate each week so they all have different experiences within food production and what it takes to make the other side of dining run smoothly. They also handle the ordering, finances, food safety and sanitation of the meals. A lot of work goes on behind the scenes and it can be a very stressful day for students assuming the manager role. “Talking to the press, and running out food,” Moriah Anderson said when asked what her biggest fear for the restaurant is. The restaurant’s opening day is Thursday and will end May 5. It runs 11:00 a.m. to 12:15 p.m. Thursdays and Fridays. Meals are $10 apiece. 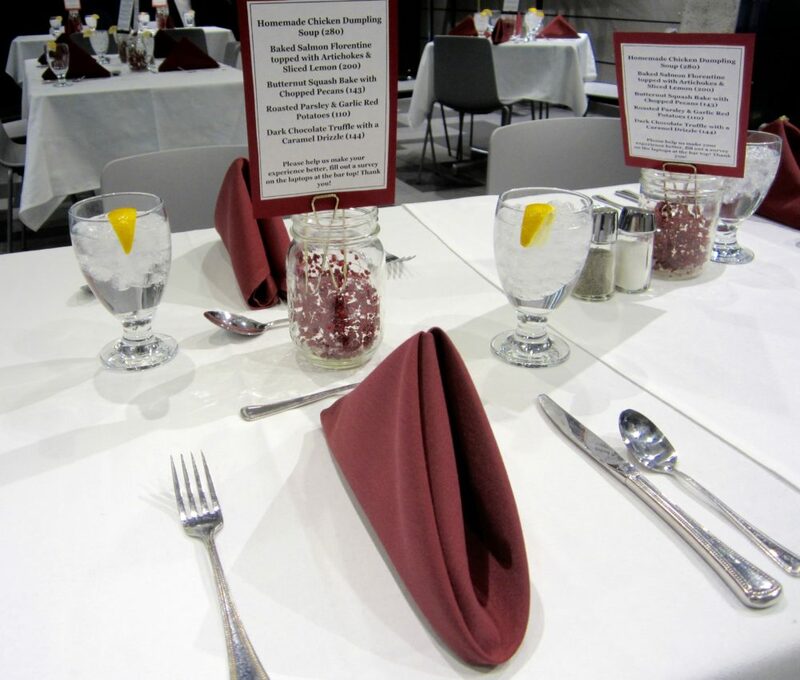 You can make reservations ahead of time in EML 316 at the front desk or online at the HNES website under 800 café. You can reserve meals individually or in bundles of four meals for $35. The possibly stressed, but also overly ecstatic students, will be there to seat, serve and wait on your every wish.